A modern development providing a range of offices and workshops with meeting rooms, round the clock access and on-site parking. Located adjacent to Ocean Village Marina, with numerous dining and entertainment options in the surrounding area. Close to the city centre and Southampton Central rail station, for trains to London Waterloo, Cardiff and Portsmouth. Excellent connections to the M27 and the M3. Overlooking Watts Park in Southampton"s CBD, this prominent building welcomes guests with an impressive reception area and offers its tenants with a choice of design-led offices, a business lounge, meeting rooms and touch down areas. Within easy reach of Southampton Central Railway Station. 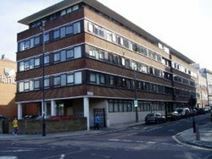 Overlooking Isaac Watts Park and a short walk from the amenities of London Road, this prominent office building contains a number of extensively refurbished offices providing a high standard of accommodation. 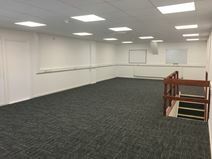 This centre offers office and workshop units on short term leasing arrangements. It features a staffed reception, meeting and training rooms, a caféteria, and round the clock access and security. Conveniently located for both Millbrook and Southampton Central stations, with trains to London Waterloo, Cardiff and Portsmouth. Adjacent to the A3024 for city centre access, and good connections to Southampton airport, the M27 and M3. This fully customisable workspace is based in the outskirts of Southampton. The centre offers 1,500 square foot of space that offers bespoke layout solutions, open place space and kitchen facilities. The centre was refurbished in 2012 and thus has a modern finish, including LED lighting and central heating. It is located just off the A3024 and is just a ten minute bus ride from Southampton Central Station - great for any business meetings outside of the city. Bittern rail station is also just a 15-minute walk away. A stylish business centre providing high quality offices on flexible leasing terms. The centre has a staffed reception, range of optional support services, and on-site parking. Tenants also have access to other UK locations. Located next to Ocean Village Marina, within walking distance of West Quay shopping centre and Southampton Central rail station. The M27 and M3 are easily accessible from the centre. A technology centre providing a variety of business accommodation with a range of support services. Located within Ocean Village Marina, with numerous dining and entertainment facilities in the vicinity. The centre is located close to West Quay shopping centre and Southampton Central rail station, with direct services to London. The M27 and M3 are easily accessible from the marina, and Southampton Airport is within easy reach. 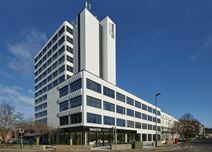 A five storey building offering office accommodation on a whole floor, or sub-divided basis. The building has full disabled access, and car parking. Located in Southampton city centre, a short walk to West Quay shopping centre and Southampton Central rail station, for trains to London, Cardiff and Portsmouth. On a direct road route to Southampton Airport, the M27 and the M3. Based just on the outskirts of Southampton, this centre is spread across five floors and has offices available for up to 12 people. The centre boasts meeting room facilities, kitchen facilities, a super-fast fibre connection and a rate inclusive of maintenance and cleaning of common areas. The centre's location allows for easy access to both the M3 and M27 and it is just a 15-minute walk to Southampton Central station. This newly renovated business centre offers fully serviced offices including conference rooms, manned reception services and car parking. Transport links are good, with Southampton Airport within 20-minutes' drive, and Southampton Central Railway Station within walking distance, offering regular, direct services to London Waterloo. Motorways are also easily accessible, with the M27 and M3 both in close proximity. 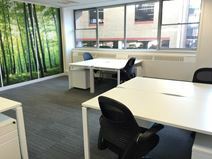 This business centre provides a range of individual offices suitable for between one and 50 people. 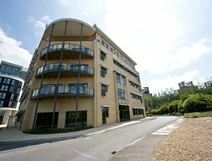 Meeting and conference spaces are also available in this building adjacent to London Road, and the space is surrounded by places to eat and drink, as well as hotel options for you or any visitors. For flexibility, these spaces are accessible 24-hours a day, perfect if you working hours are not the normal nine to five.